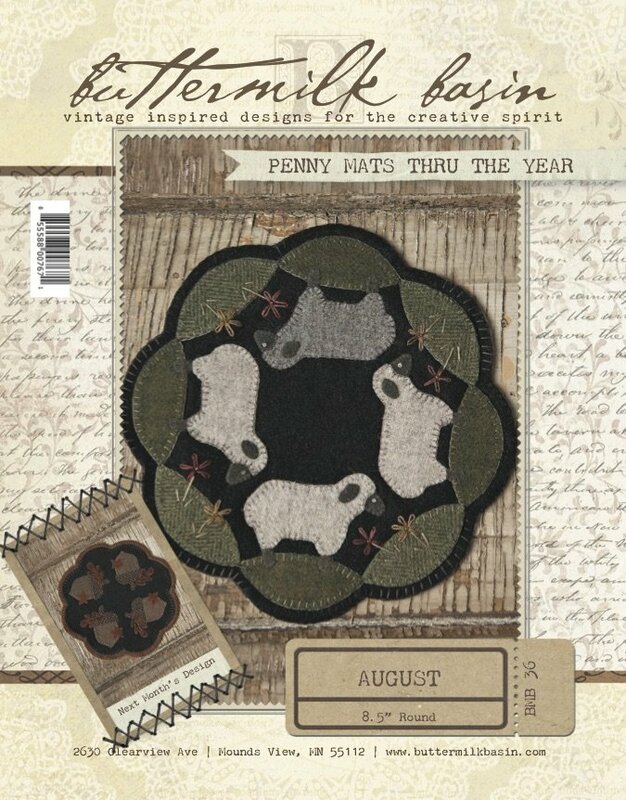 This adorable wool applique penny mat is 8.5" round! 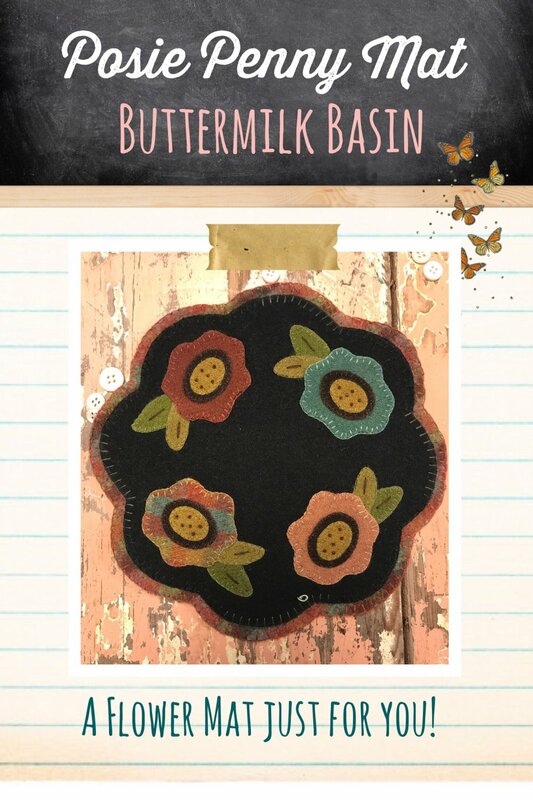 It is the perfect size for a small side table, put a candle or vase of flowers in the center, and enjoy! 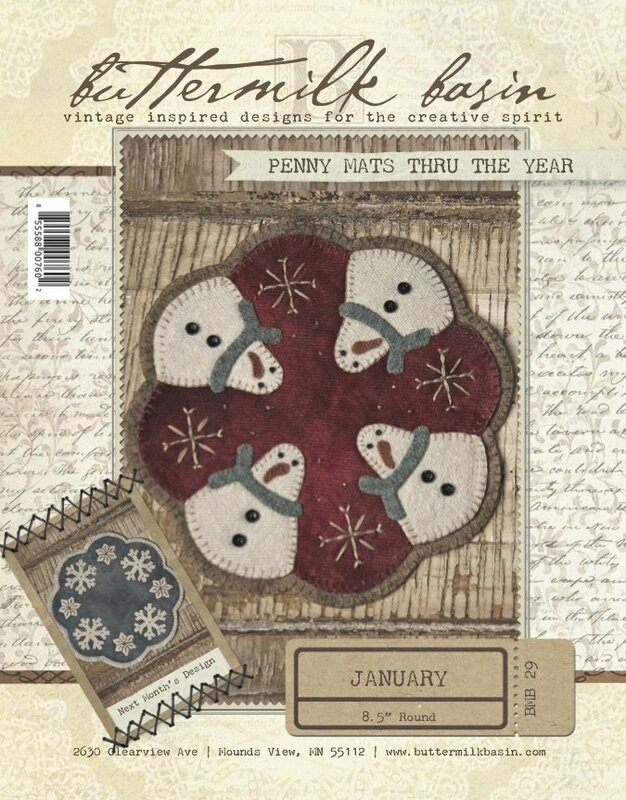 The kit contains all of the wool and pattern for the mat. 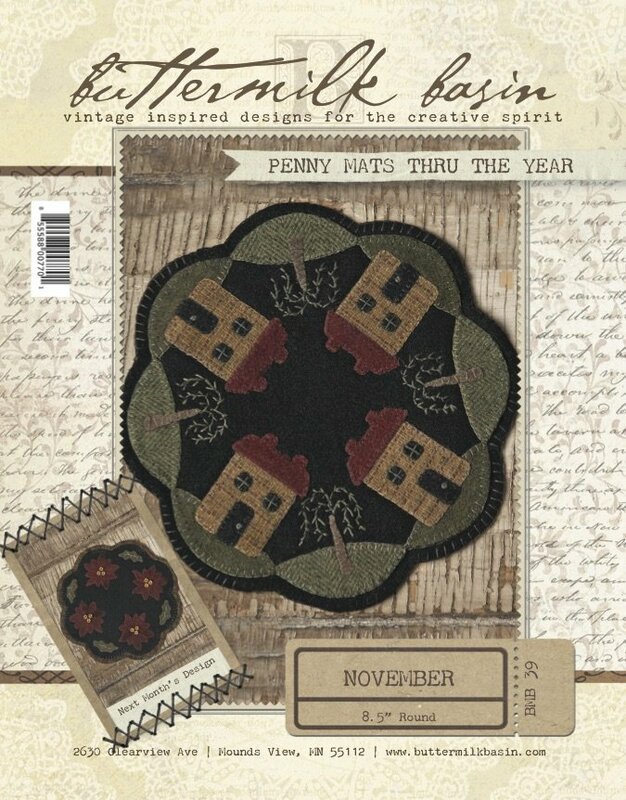 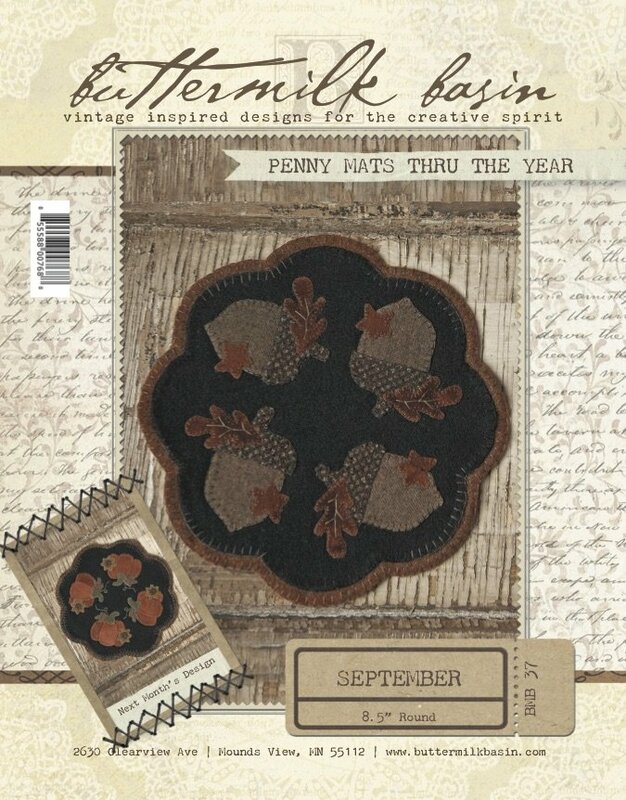 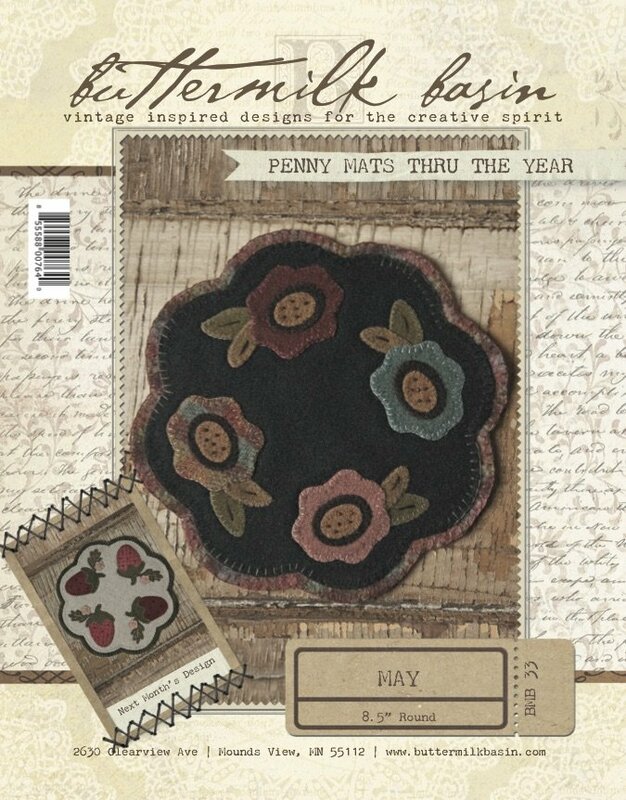 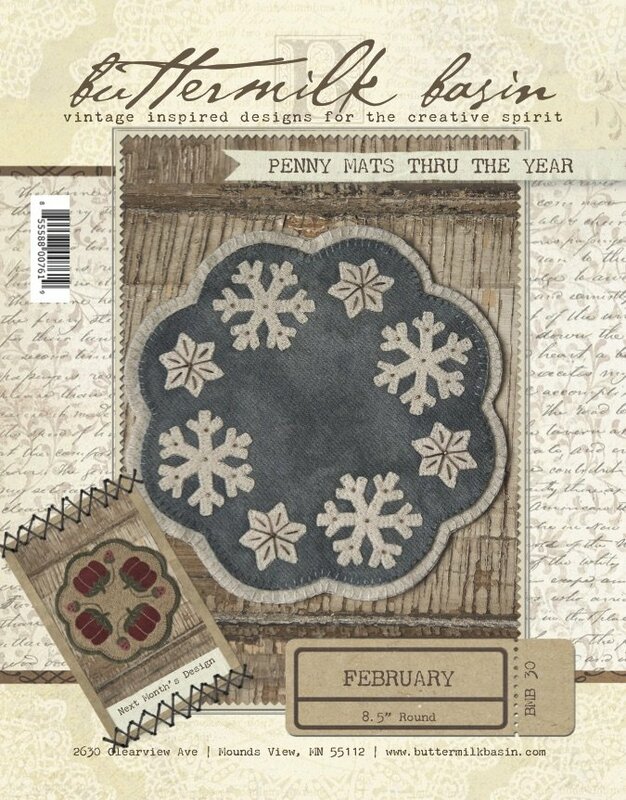 Penny Mats thru the Year November Pattern and Kit includes the pattern and wool to make this warm and welcoming penny mat! 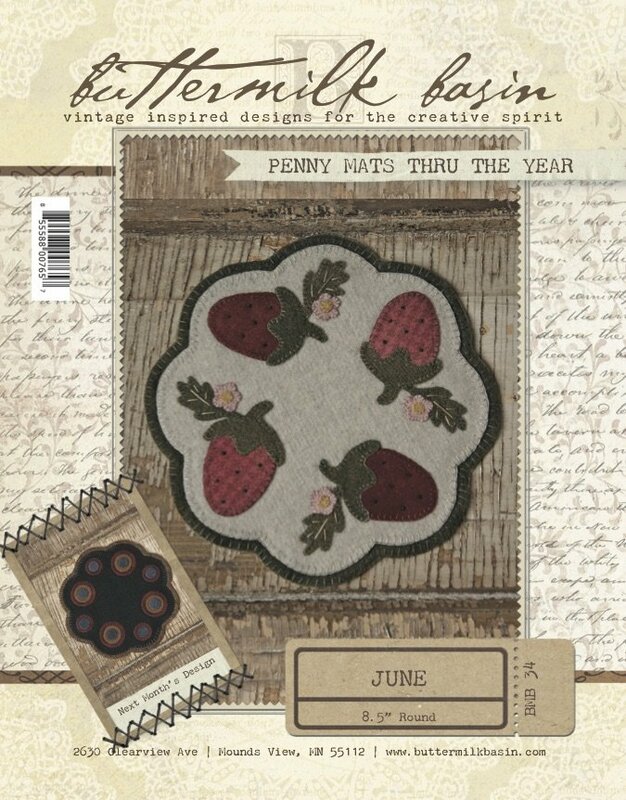 It is 8.5" round. 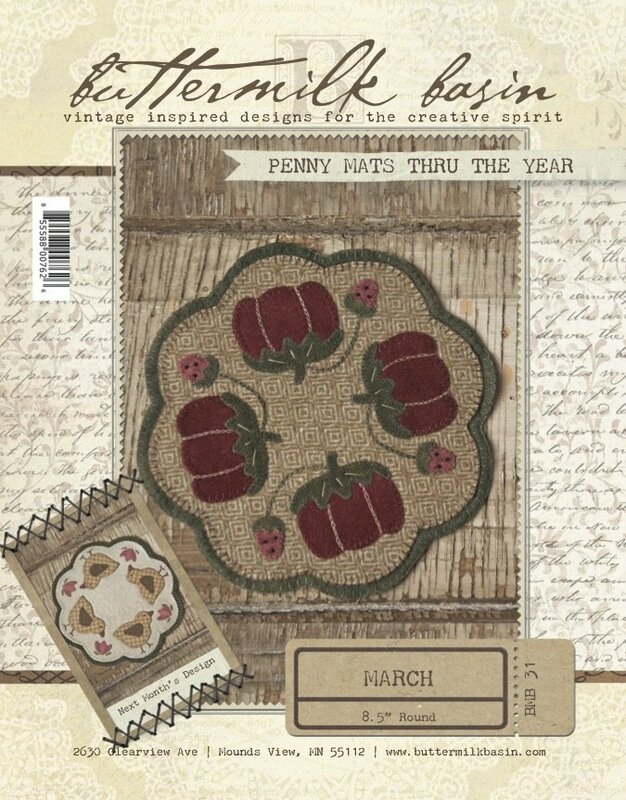 The kit and pattern for the March Penny Mat thru the Year includes the wool to make this 8.5" round mat. We LOVE this series of 9 inch round mats! 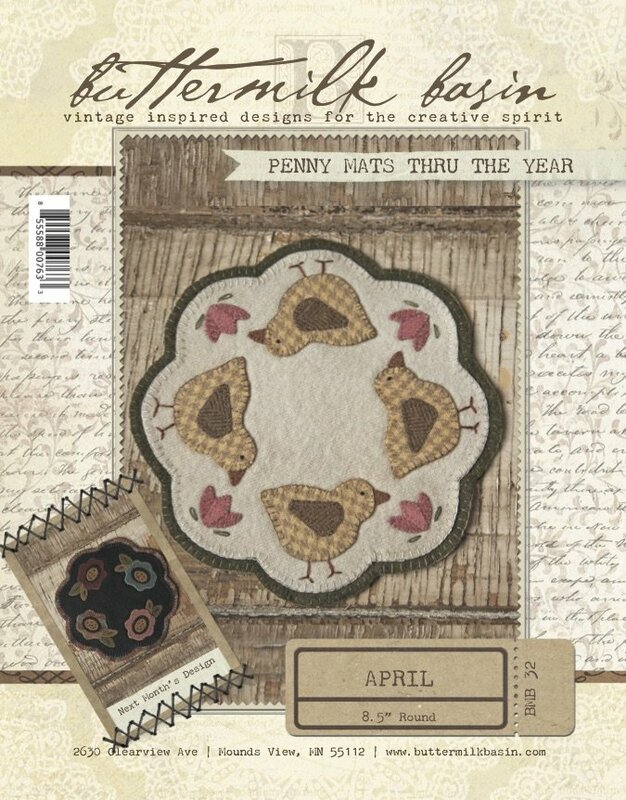 They whip up quick & easy and can be changed out each month! Kit includes wool & pattern.